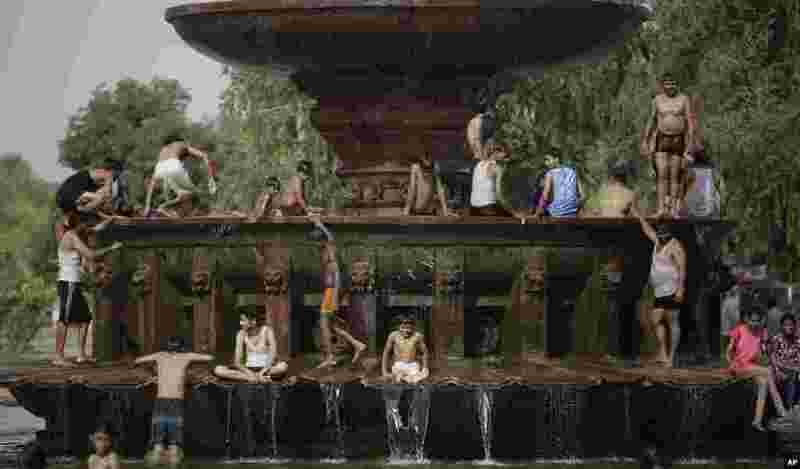 5 People cool themselves in a fountain near the India Gate monument on a hot day in New Delhi, India. 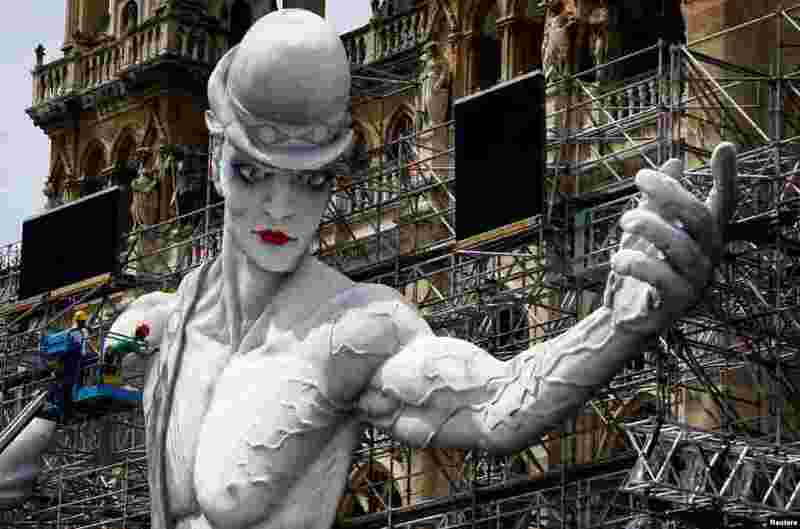 6 Workers set-= up the stage for the 24th Life Ball in front of the city hall in Vienna, Austria. 7 Denmark's Caroline Wozniacki serves against Latvia's Jelena Ostapenko during their quarterfinal match of the French Open tennis tournament at the Roland Garros stadium, in Paris. 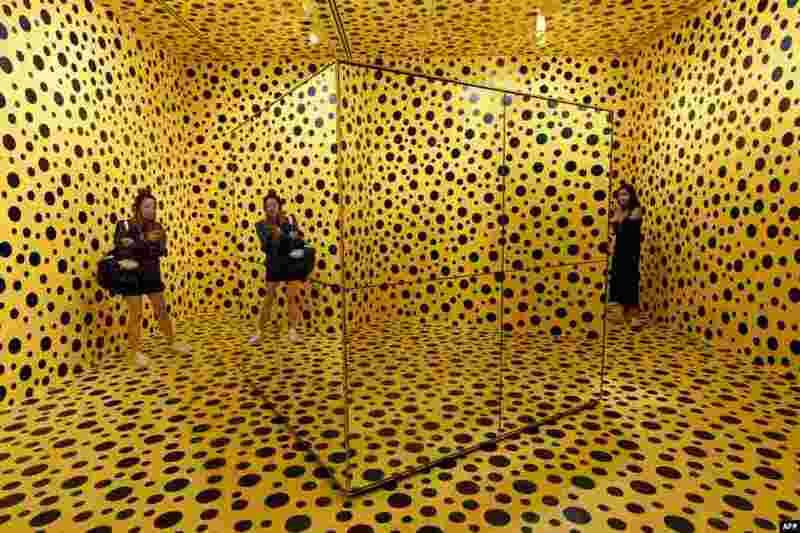 8 Visitors stand inside an installation by Japanese artist Yayoi Kusuma titled 'The Spirits of the Pumpkins Descended into the Heaven' at National Gallery Singapore.